The hottest product on the market today is Argan Oil. You see ads for it everywhere. There are so many different oils out there so which one should you try? 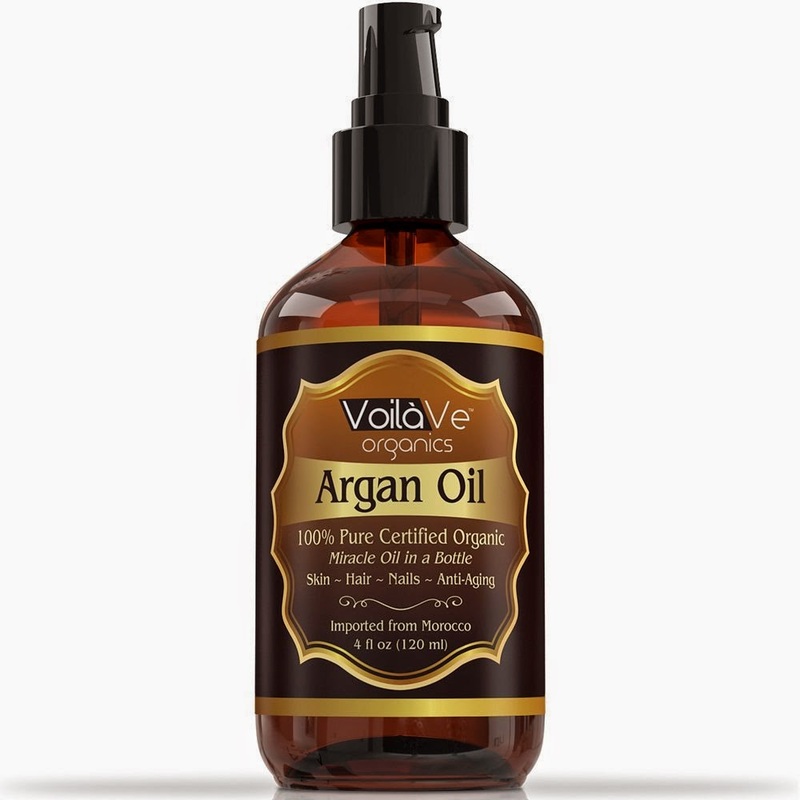 I was given the opportunity to try out VoilaVe Organics 100% Pure and Organic Argan Oil. This is the highest quality oil on the market as it is USDA & ECO certified organic Moroccan Argan oil with no fillers or additives in it. The oil is imported from Morocco and bottled in the U.S.A.
What can you do with this oil? It can be used in so many different ways. It's a fabulous multitasking product. I have very dry skin on my legs so that was my first test. A little of this product goes a long way - one to three drops. You rub your palms together then massage it in. I liked how it sunk right into my skin and didn't leave me feeling greasy. That was always a reason for me not to like using any type of oil. I was left with silky, moisturized legs that had a nice, healthy looking sheen to them. My next test was of some dry patches on my forehead. I have oily skin that is prone to acne so I used very little on the patches. Again, my skin was not oily and shiny after using this. I noticed after a few days that the patches were gone. It did not break me out. If you are prone to acne, it's best to experiment with this product to see if it does break you out. The final test of the Argan oil was to use it as a scalp and hair treatment as I have severely dry hair. For your hair you need to use a very small amount. Pea size. I rubbed it into my wet hair and scalp then blow dried and styled. My hair looked shiny and healthy. I immediately noticed less tightness in my scalp and my hair looked smooth. There are so many other ways to use this product. You can even rub some on your nails if they are dry and brittle as a treatment. I highly recommend this product as it is pure, doesn't leave your skin or hair greasy and works. It's a helpful product to have in your beauty arsenal. I've heard so many good things about Argan oil, it seems to be a trending topic going around. I may have to try this, thank you for sharing. I've got some of that for my daughter. It's great for her hair. I'm glad I can purchase this on Amazon, it will be at my door in two days! Glad to see it's an organic oil. I don't like a lot of preservatives and perfumes. This sounds like a good Argan oil. I like that it is organic! I will have to try this. I love organic coconut oil too. It's intriguing to me just for the fact that it helps with dry skin. My wife has dry hands all winter. I bet this stuff would help!